Temporarily passing the Religion section brings me to the back of Grant Station. This is the view when approaching it from the back. As you can see in the background, Grant Station is part of the Reference Department. Patrons may come in and use the Grant Station computer to research grants. Since I currently do not need to research a grant, I decided to investigate this station by asking a lot of questions. Grant Station doubles as a work space for my friend and coworker, Ricki Raccoon; the perfect one to ask. Many people have heard of an agency receiving grant money to do a special project, but not many of us know how to look for this kind of funding opportunity. 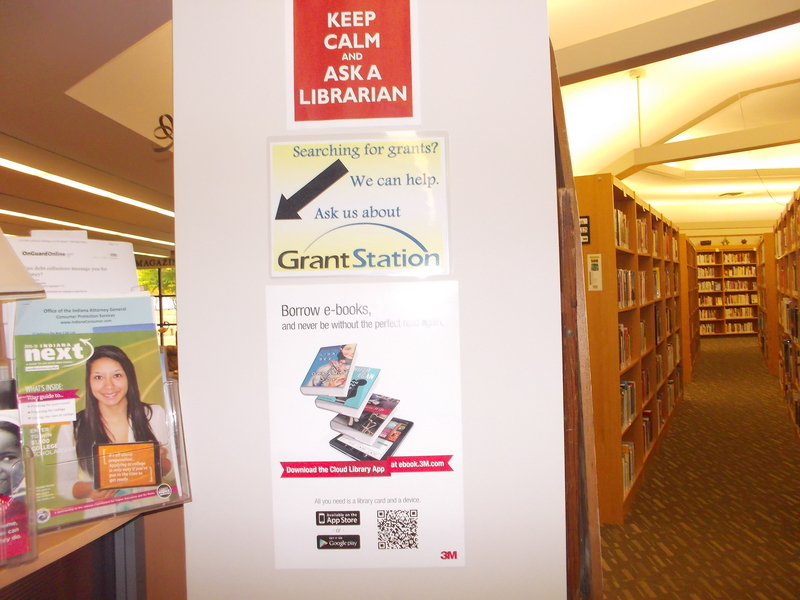 Grant Station, located at the public Reference Desk, is a great starting point. 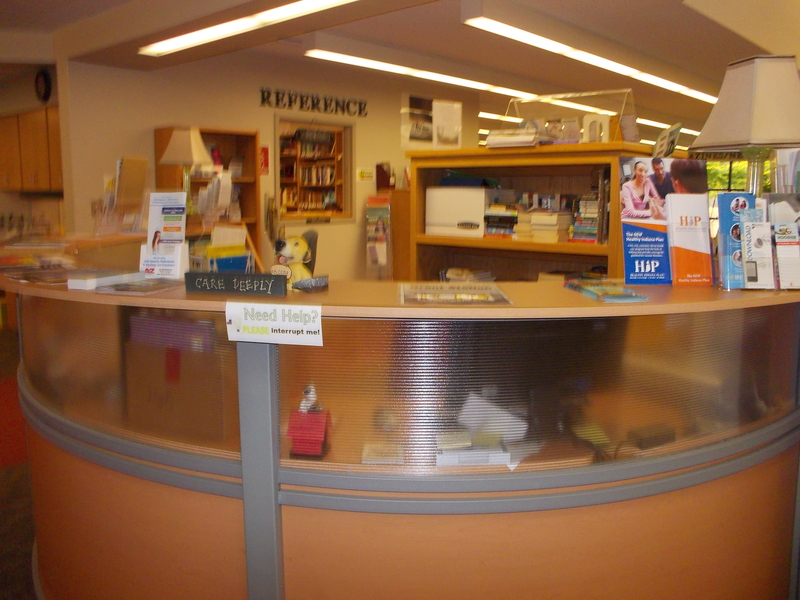 It is accessed through a separate login on the Reference computer (ask a Reference person or someone from Circulation to assist you). Many places award grants through both the public and private sector. The federal government has funds available and so does each state. Here in Indiana grant money comes from individual state agencies including the Indiana Department of Commerce, the Arts Commission, Homeland Security, Environmental Management, and Workforce Development to name just a few. Private grants can also be made through businesses (Walmart or REMC) or through non-profit foundations (Northern Indiana Community Foundation). Grant Station is a comprehensive resource for hundreds of grant prospects, broken down in categories such as federal, state, private, profit and non-profit. At first glance, the website can seem overwhelming. Where do I start? How do I start? Here are a few tips to think about before you access it. What is your project? Even though you might be early in the planning stages, be as specific as possible. For example, a patron wanted to know if we could find funding for an animal shelter. The specific project was to fund materials to expand their existing shelter, not to start from ground-level. This is an important distinction. How much funding do you think you will be seeking and what will the money be used for? Some grants to do not allow funding to be used for “bricks and mortars,” and some will not allow for extra staff to be hired if they are only needed for the duration of the project. Breaking down the funding amounts into categories increases your flexibility in finding a grant to meet a need. One grant may not take care of the whole amount, but perhaps two or three smaller grants will do it. You don’t need all the details of your project when you first sit down to investigate Grant Station, but it will help if you have a general idea. Many places have “mini-grants” which award amounts generally under $5,000. The reporting requirements for smaller grants are different than for larger amounts. You will also need to represent a formal agency or organization and have a tax identification number. It is very rare for an individual to apply for and be awarded grant money. Don’t hesitate to dive into Grant Station! It is a wealth of information, waiting to be accessed! There are truly places that want to give you money – if you meet the criteria. I never knew libraries offered such a service…wonder if mine does? One of the reasons I decided to share my read through project publicly was to expose all the many wonderful services libraries offer. I actually work in the library and even I learned some things about grants that I hadn’t known before. When you check with your local library, please let me know if they offer a similar service–or if you discover others you were unaware existed. I found another one I haven’t read! I thought I got them all haha. 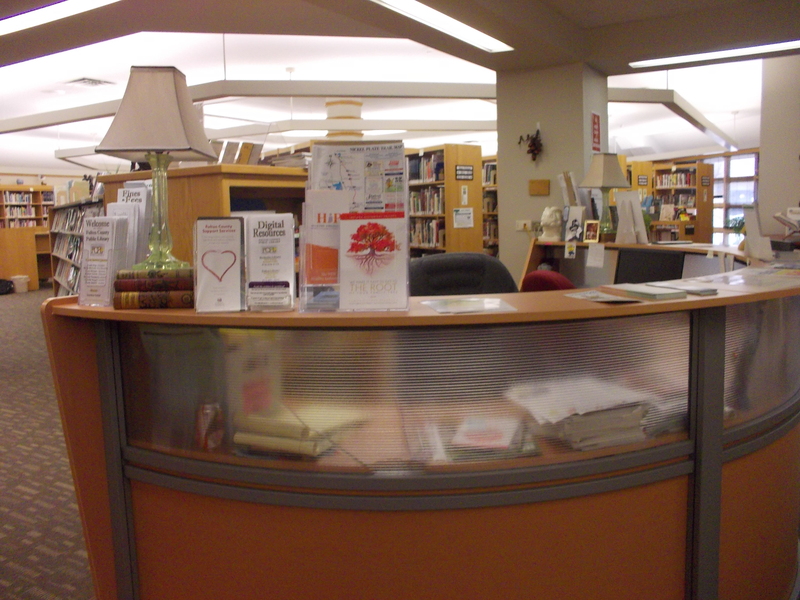 I need to utilize my local library more, I haven’t even been in there for years. I wonder how much it has changed, or stayed the same. It might be culture shock for you to walk into a library now. If you do, I hope you will blog about it. Most libraries are now thriving social hubs and are no longer the old quiet places of the past.